Disasters can devastate companies due to unwanted business interruption and loss of revenue. It is estimated that up to 50% of businesses that close due to a disaster never reopen. Of those that reopened, the majority had some type of response plan in place, like the SERVPRO Emergency Ready Plan. The SERVPRO Emergency Ready Plan allows you to prepare now to minimize business interruption and reduce secondary damages. Timing is everything with The SERVPRO Emergency Ready Plan you can help minimize the amount of time your business in inactive by having an immediate plan of action. Knowing what to do, who to call, and what to expect in advance is the key to timely mitigation. Timely mitigation minimizes the affects of water and fire damage allowing your property and business to be resorted at an advanced rate with minimal downtime. SERVPRO of Waycross, Hinesville & Douglas has the training, experience, and equipment to handle large commercial storm or water damage emergencies. Regardless of your property type or size, we will respond quickly to clean the property and manage the restoration project through to its completion. Learn more about our training and certifications. 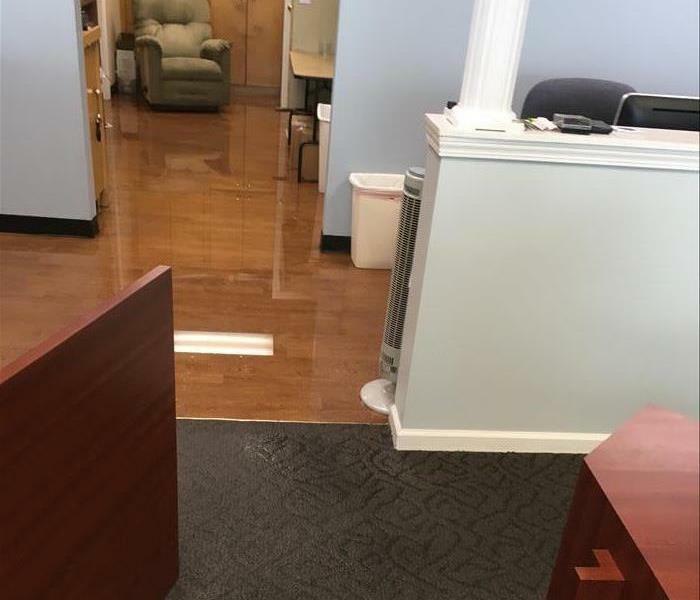 SERVPRO of Waycross, Hinesville & Douglas will respond immediately to the storm or flood event affecting your commercial property, regardless of the size or scope of the damage. We are part of a national network of over 1,700 Franchises with special Disaster Recovery Teams placed strategically throughout the country to respond to large scale events and disasters.